Herodotus was one of the earliest authors to engage in this form of interpretation. In his observations regarding the Egyptians, he establishes Greco-Egyptian equivalents that endured into the Hellenistic era, including Amon/Zeus, Osiris/Dionysus, and Ptah/Hephaestus. In his observations regarding the Scythians, he equates their queen of the gods, Tabiti, to Hestia, Papaios and Api to Zeus and Gaia respectively, and Argimpasa to Aphrodite Urania, whilst also claiming that the Scythians worshipped equivalents to Herakles and Ares, but which he doesn't name. Some pairs of Greek and Roman gods, such as Zeus and Jupiter, are thought to derive from a common Indo-European archetype (Dyeus as the supreme sky god), and thus exhibit shared functions by nature. Others required more expansive theological and poetic efforts: though both Ares and Mars are war gods, Ares was a relatively minor figure in Greek religious practice and deprecated by the poets, while Mars was a father of the Roman people and a central figure of archaic Roman religion. Some deities dating to Rome's oldest religious stratum, such as Janus and Terminus, had no Greek equivalent. Other Greek divine figures, most notably Apollo, were adopted directly into Roman culture, but underwent a distinctly Roman development, as when Augustus made Apollo one of his patron deities. 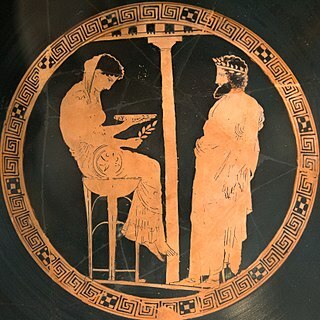 In the early period, Etruscan culture played an intermediary role in transmitting Greek myth and religion to the Romans, as evidenced in the linguistic transformation of Greek Heracles to Etruscan Her[e]cle to Roman Hercules. The phrase interpretatio romana was first used by the Imperial-era historian Tacitus in the Germania. 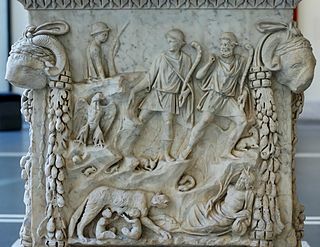 Tacitus reports that in a sacred grove of the Nahanarvali, "a priest adorned as a woman presides, but they commemorate gods who in Roman terms (interpretatione romana) are Castor and Pollux." Elsewhere, he identifies the principal god of the Germans as Mercury, perhaps referring to Wotan. Some information about the deities of the ancient Gauls (the continental Celts), who left no written literature other than inscriptions, is preserved by Greco-Roman sources under the names of Greek and Latin equivalents. A large number of Gaulish theonyms or cult titles are preserved, for instance, in association with Mars. As with some Greek and Roman divine counterparts, the perceived similarities between a Gallic and a Roman or Greek deity may reflect a common Indo-European origin. Lugus was identified with Mercury, Nodens with Mars as healer and protector, Sulis with Minerva. In some cases, however, a Gallic deity is given an interpretatio romana by means of more than one god, varying among literary texts or inscriptions. 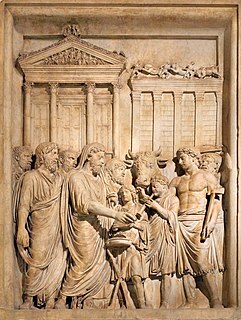 Since the religions of the Greco-Roman world were not dogmatic, and polytheism lent itself to multiplicity, the concept of "deity" was often expansive, permitting multiple and even contradictory functions within a single divinity, and overlapping powers and functions among the diverse figures of each pantheon. These tendencies extended to cross-cultural identifications. In the Eastern empire, the Anatolian storm god with his double-headed axe became Jupiter Dolichenus, a favorite cult figure among soldiers. Roman scholars such as Varro interpreted the monotheistic god of the Jews into Roman terms as Caelus or Jupiter Optimus Maximus. Some Greco-Roman authors seem to have understood the Jewish invocation of Yahweh Sabaoth as Sabazius. In most of the Romance languages, which derive from Latin, days of the week still preserve the names of the original Roman deities, such as the Italian for Tuesday, martedì (from the Latin Martis dies). This is also the case with Saturn in some West Germanic languages; such as the English "Saturday", the West Frisian Saterdei, the Low German Saterdag and the Dutch zaterdag all meaning Saturn's day. Simek emphasizes the paucity of evidence and notes that comparison with Roman gods is insufficient to reconstruct ancient Germanic gods and equate them definitively with those of later Norse mythology. The following is a list of Greek, Roman, Etruscan, Egyptian, and Phoenician equivalents, based on usage among the ancients themselves, supported by the analyses of modern scholars. "Equivalent" should not be taken to mean "the same god". For instance, when the myths or even cult practices of a particular Roman deity were influenced by the Greek or Etruscan tradition, the deity may have had an independent origin and a tradition that is culturally distinctive. Περσεφόνη Persephone Proserpina Proserpine Persipnei poss. "to emerge"
(See Cybele, above) Nut Asherah Rhea: lit. flowing. Ops: lit. wealth, abundance, resources. Τυφῶν ("Typhon") Typhoeus Typh Set "whirlwinds, storms, chaos, darkness"
From the Roman point of view, it was natural to apply the above principle also to the Jewish God Jehovah and equate him with Jupiter. However, the Jews – unlike other people living under Roman rule – rejected out of hand any such attempt, regarding such an identification as the worst of sacrilege. This complete divergence of views was one of the factors contributing to the frequent friction between the Jews and the Roman Empire – for example, the Emperor Hadrian's decision to rebuild Jerusalem under the name of Aelia Capitolina, a city dedicated to Jupiter, precipitated the bloodbath of the Bar Kokhba revolt. In late antiquity mysticism, the sun god Helios is sometimes equated to the Judeo-Christian God. ^ Robert Leo Odom, ''Sunday in Roman Paganism'' (TEACH 2003 ISBN 978-1-57258242-2), pp. 251-252. Books.google.com. 2003-01-01. ISBN 9781572582422. Retrieved 2013-01-24. ^ "Saturday". Online Etymological Dictionary. Retrieved 25 March 2019. Assmann, Jan (2008). "Translating Gods: Religion as a Factor of Cultural (Un)Translatability". In de Vries, Hent. Religion: Beyond a Concept. Fordham University Press. ISBN 9780823227242. Hercules is a Roman hero and god. He was the Roman equivalent of the Greek divine hero Heracles, who was the son of Zeus and the mortal Alcmene. In classical mythology, Hercules is famous for his strength and for his numerous far-ranging adventures. In Germanic mythology, Týr, Tíw, and Ziu is a god. Stemming from the Proto-Germanic deity *Tīwaz and ultimately from the Proto-Indo-European deity *Dyeus, little information about the god survives beyond Old Norse sources. 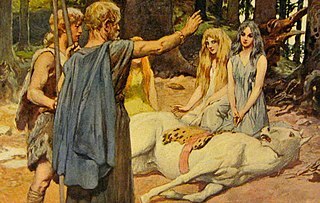 Due to the etymology of the god's name and the shadowy presence of the god in the extant Germanic corpus, some scholars propose that Týr may have once held a more central place among the deities of early Germanic mythology. Zeus is the sky and thunder god in ancient Greek religion, who rules as king of the gods of Mount Olympus. His name is cognate with the first element of his Roman equivalent Jupiter. His mythologies and powers are similar, though not identical, to those of Indo-European deities such as Jupiter, Perkūnas, Perun, Indra and Thor. Dīs Pater was a Roman god of the underworld. Dis was originally associated with fertile agricultural land and mineral wealth, and since those minerals came from underground, he was later equated with the chthonic deities Pluto (Hades) and Orcus. 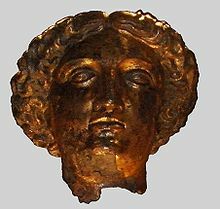 Menrva was an Etruscan goddess of war, art, wisdom, and medicine. She contributed much of her character to Roman Minerva, when that culture evolved. She was the child of Uni and Tinia. Proto-Indo-European mythology is the body of myths and stories associated with the Proto-Indo-Europeans. Although these stories are not directly attested, they have been reconstructed by scholars of comparative mythology based on the similarities in the belief systems of various Indo-European peoples. In ancient Greek religion and mythology, the twelve Olympians are the major deities of the Greek pantheon, commonly considered to be Zeus, Hera, Poseidon, Demeter, Athena, Apollo, Artemis, Ares, Aphrodite, Hephaestus, Hermes, and either Hestia or Dionysus. They were called Olympians because, according to tradition, they resided on Mount Olympus. 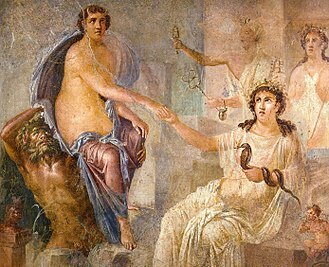 Hellenistic religion is the late form of Ancient Greek religion, covering any of the various systems of beliefs and practices of the people who lived under the influence of ancient Greek culture during the Hellenistic period and the Roman Empire. There was much continuity in Hellenistic religion: the Greek gods continued to be worshipped, and the same rites were practiced as before. 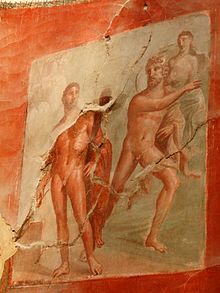 The Roman deities most familiar today are those the Romans identified with Greek counterparts, integrating Greek myths, iconography, and sometimes religious practices into Roman culture, including Latin literature, Roman art, and religious life as it was experienced throughout the Empire. Many of the Romans' own gods remain obscure, known only by name and sometimes function, through inscriptions and texts that are often fragmentary. This is particularly true of those gods belonging to the archaic religion of the Romans dating back to the era of kings, the so-called "religion of Numa", which was perpetuated or revived over the centuries. Some archaic deities have Italic or Etruscan counterparts, as identified both by ancient sources and by modern scholars. Throughout the Empire, the deities of peoples in the provinces were given new theological interpretations in light of functions or attributes they shared with Roman deities. Ancient Egyptian deities are the gods and goddesses worshipped in ancient Egypt. The beliefs and rituals surrounding these gods formed the core of ancient Egyptian religion, which emerged sometime in prehistory. Deities represented natural forces and phenomena, and the Egyptians supported and appeased them through offerings and rituals so that these forces would continue to function according to maat, or divine order. After the founding of the Egyptian state around 3100 BC, the authority to perform these tasks was controlled by the pharaoh, who claimed to be the gods' representative and managed the temples where the rituals were carried out. 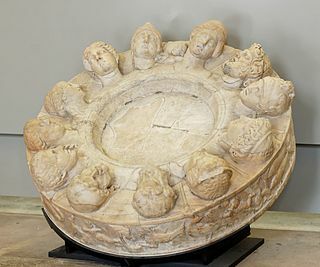 The Dii Consentes, also as Di or Dei Consentes, was a list of twelve major deities, six gods and six goddesses, in the pantheon of Ancient Rome. Their gilt statues stood in the Forum, later apparently in the Porticus Deorum Consentium. Trees hold a particular role in Germanic paganism and Germanic mythology, both as individuals and in groups. The central role of trees in Germanic religion is noted in the earliest written reports about the Germanic peoples, with the Roman historian Tacitus stating that Germanic cult practices took place exclusively in groves rather than temples. 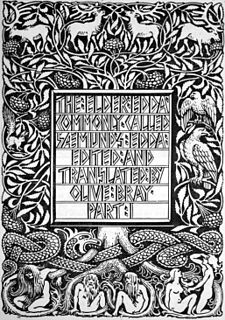 Scholars consider that reverence for and rites performed at individual trees are derived from the mythological role of the world tree, Yggdrasil; onomastic and some historical evidence also connects individual deities to both groves and individual trees. After Christianization, trees continue to play a significant role in the folk beliefs of the Germanic peoples.